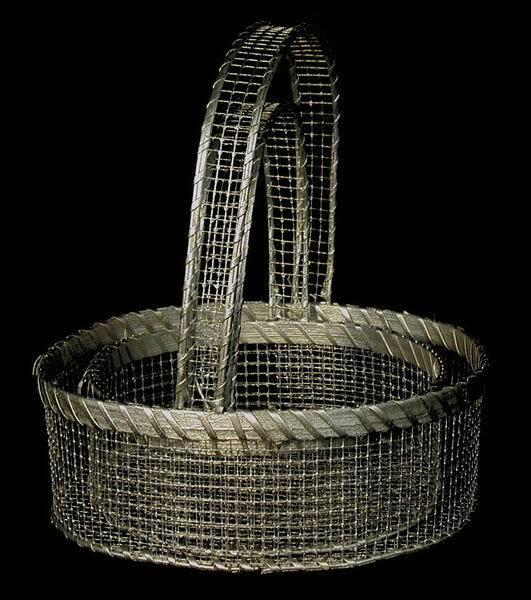 This wire basket comes in a set of two pieces. The large one measures 9" in diameter, 10.5" tall to the handle, 3" tall to the basket. It is made of galvanzied steel wire and available in all metallic finishes. The sample basket is finished in Silver. This basket is also available in single sizes. Please click item number K8917A to view the large size, item number K8917B to view the small size. .